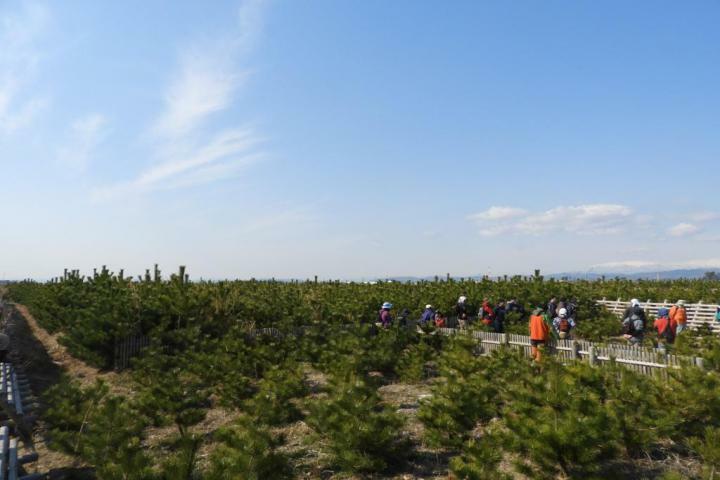 A feature radio program on OISCA Coastal Forest Restoration Project in Natori City, Miyagi Prefecture, will be broadcasted in 17 different languages, excluding Japanese by NHK World Radio Japan (Japan Broadcasting Corporation). The program will be aired for one week starting from April 4 on the following Radio Japan website. NHK World Radio Japan broadcasts current news from Japan and around the world. It also features programs on many aspects of the contemporary Japan. 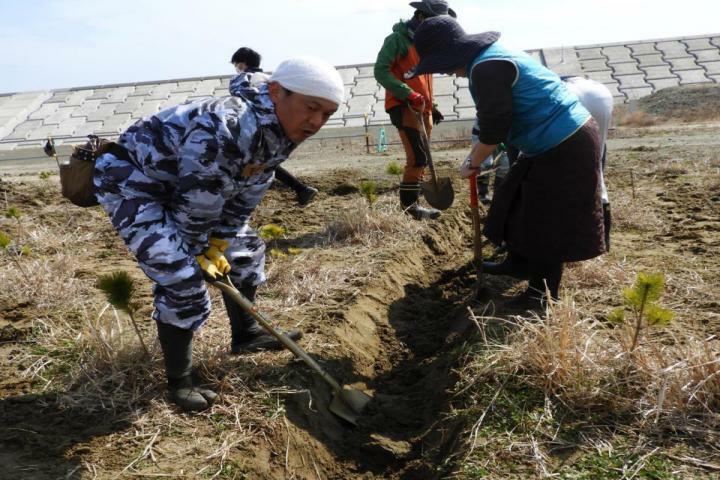 The 10-year Coastal Forest Restoration Project, implemented since 2011 is aimed at restoring the coastal forest devastated by the tsunami disaster by planting about 500,000 trees at the 100-hectare site. 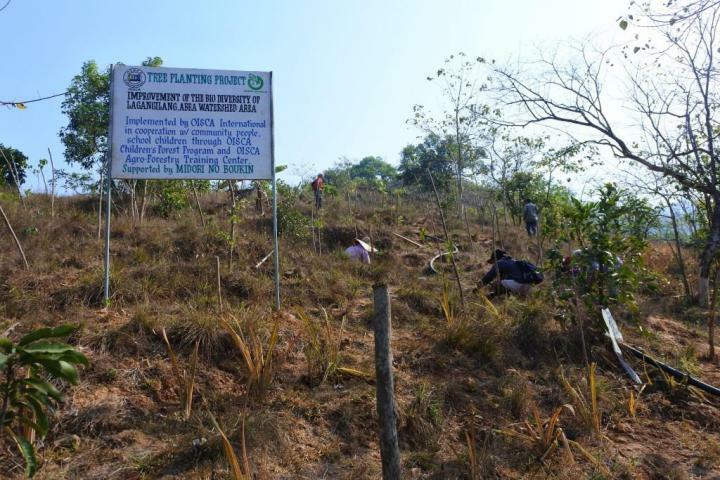 Since the full-fledged tree-planting activities started in April 2014, a total of 344,848 seedlings of black pine and other species were planted covering 97% of the target area with the donations and grants amounting to 674,132,559 as of February 2019. 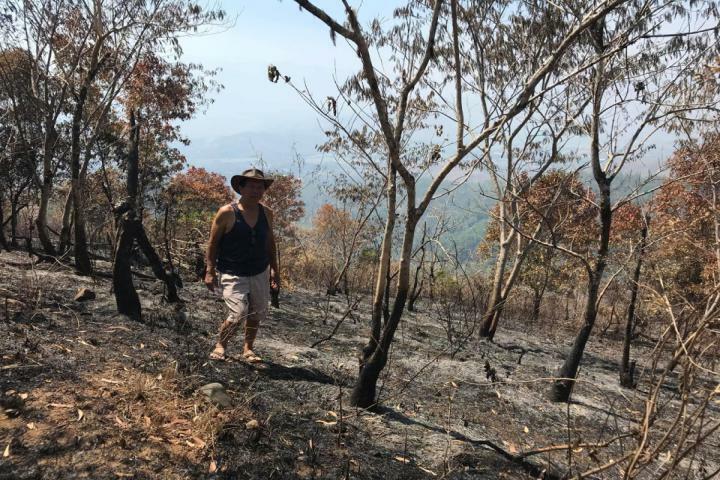 The radio program features the progress and future prospects of the OISCA Coastal Forest Restoration Project, as well as the status of the OISCA reforestation projects outside Japan. A portion of the reforestation site in Nueva Vizcaya, Philippines affected by a forest fire. This problem can be surpassed through the core members` commitment to restore the mountains. mobilized volunteers who are helping in the project implementation in Tohoku. Volunteers while making canals to improve the water drainage of the project site in Tohoku.